Super Mario is a game character we all know from our childhood. His popularity grows from year to year, and new Mario games appear all the time. In this list, you will discover modern mario flash games which will blow your mind. Now, you can play Mario Games online from any place. You should know that Mario hit the game world with his Donkey Kong designed by Atari system and became the most popular arcade game in the 1980s. Later Nintendo Entertainment System resented the game “Super Mario Bros” where Mario was the main character. This happened in 1985. As you can see, Mario games had a long way to reach the up-to-date level. This list is dedicated to new Super Mario games inspired by the original masterpiece. Enjoy your time! The flash game “Super Mario Crossover 4” was designed by Exploding Rabbit. This is the fourth version of the Crossover series. You can explore an exciting world of different Nintendo games. You will control the main character passing numerous levels and challenging obstacles. 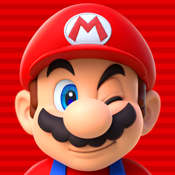 The graphics are quite average, but still millions of players love this game thanks to the main character - Mario. You can choose between six characters: Mario, Samus, Link, Simon, Megaman, and Bill R. Each character has his unique abilities. Enjoy eight levels full of running and overcoming obstacles to win the game entirely. Discover one of the best games - Tuper Tario Tros. This is an exciting adventure of Super Mario and puzzle in one perfect assemble. It is a union of Super Mario Bros and Tetris. This is a wonderful mix you will enjoy playing. It is special gameplay of Super Mario Bros with its famous challenging elements. It is time to take the role of Italian Plumber and save the Princess. While playing, you can switch to Tetris. It will bring bricks from the sky. So, you will use them for building a wall and getting even more points. Try it if you love playing two games at the same time. It is a famous platformer and action game that was designed in 2009 by Runouw. Now you can play it online. This game was inspired by Nintendo’s games “Super Mario 64”, “Super Mario Sunshine”, and “Super Mario Galaxy”. If you play Mario games often, you will enjoy it because it is super interesting. Exploring the Mushroom Kingdom, overcoming obstacles, and getting new destinations is very fun. There are many levels and features based on the classic versions. Be careful because this game is highly addictive. Millions of fans is the proof of this statement. Nintendo developed a cool 2D side-scroller game Super Mario Bros. This game is considered a legend in the video game world. We can surely call it the most popular game in the world. It made Mario the most recognizable and famous character in the history of video games. Hurry up to play the role of a famous Italian plumber with his young brother Luigi. They live in the Mushroom Kingdom and risk their lives to save the Princess Peach from the king Bowser. You will discover eight different worlds, four levels full of challenging obstacles. This interesting action game was developed by Saam Pahlavan. Its unique graphics will impress you. They are suitable for all ages, especially children. Now, you have a chance to experience Konkey Dong game on your web browser in the form of a flash game. You will have to control Donkey Kong, throw numerous wooden crates to knock down Mario and his brother Luigi. You lose if you let Mario and Luigi save the Princess. The speed is fascinating in this game.